Feeding speed 6-60 meter per minute. Working width: 20 - 230 mm. Working height: 10 - 150 mm. We can plane on all products that comply with the technical specifications of a planer. 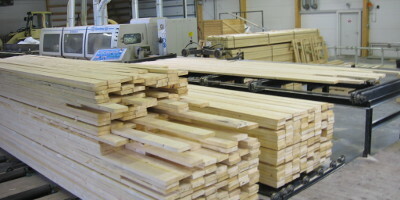 AS Ilmre offers wood splitting service with band saw. 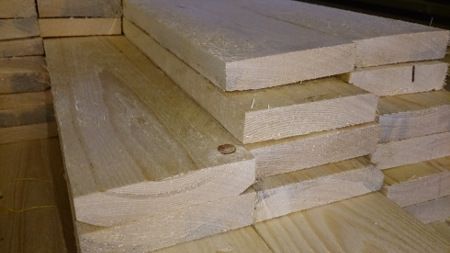 In most cases, the aim is to cut timber into two equal parts, which can be produced for indoor or outdoor high quality profiles. We can split wet or dry timber material.